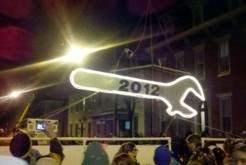 The holidays are an exciting time of year in Cumberland Valley, and New Year&apos;s is no exception! Whether you&apos;re getting away from home, visiting some friends or family in the area or live in Cumberland Valley, be sure to take advantage of the festive events taking place to celebrate the beginning of 2015! Many Cumberland Valley nightlight hot spots are hosting parties complete with music, dancing, food and your favorite libations. With options including ripping down the mountainside while watching fireworks on your snowboard at Roundtop Mountain Resort, witnessing a quirky Keg Drop while sipping locally brewed ales at Market Cross Pub & Brewery, or savoring a flavorful buffet with a loved one at Allenberry Resort Inn & Playhouse, you&apos;ll have a tough time deciding which party is for you! 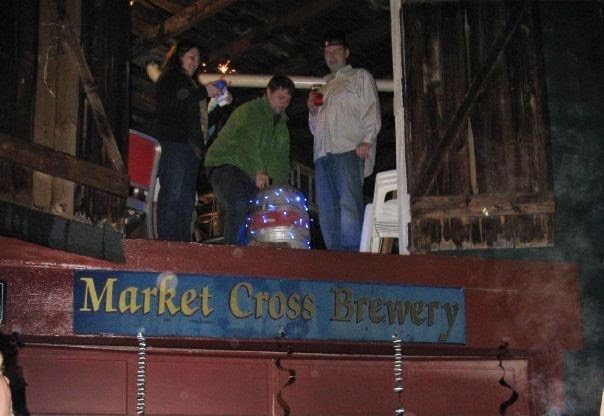 Hint: Check out Market Cross&apos;s Facebook page for event info. Pennsylvania is known for dropping some unusual items at midnight, and Cumberland Valley is no exception! Family-friendly drops include dropping a giant First Night button for First Night in Carlisle, a 10 1/2 foot lighted wrench in Mechanicsburg, a 5 foot tall pair of Yellow Breeches in Lisburn and a 7 foot nail in West Fairview. View the events calendar for more events and drops. Whether you&apos;re visiting and need a place to stay, or are looking to get away from home for the night, we have a room for you! 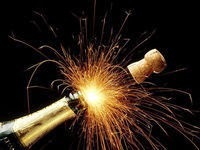 Packages include anything from a bottle of champagne to full breakfast the next morning. The Park Inn by Radisson Harrisburg West is attached to two bars hosting live music on NYE and the Comfort Suites Carlisle is within walking distance of First Night. Hint: Find packages for the Park Inn and Comfort Suites by clicking on the Special Offers tab inside their listing. Many people take advantage of the New Year by making fresh starts. For a list of ideas to help you eat better, exercise more, rework your wardrobe or reduce stress, check out one staffer&apos;s plan. Trying to find more time for yourself, your loved ones or your family? Try on some of the Top Things to Do in Cumberland Valley. Need help crafting your perfect resolution? Post your question with #FoundItInCV on Facebook or Twitter for staff ideas!